Nine years ago, Coven-999 was brought down and only two of its members, Calypso and Venus, escaped. Since then there have been an escalated number of Black Friday murders, Halloween tragedies and rapes across Australia, particularly in the Capital Territory. For the past nine years, Samantha Robertson has experienced increased visions, dreams and premonitions that have helped her to prevent some of these tragedies from occurring. Through yet another horrifying vision, it has come to Samantha’s attention that Calypso is in the A.C.T. and has formed another coven that plans to begin a war. Not just any war: the war of Armageddon. Together, Police Detective Hunter and Sas are trying to prevent this coven from fulfilling its destiny. The coven has already murdered Hunter’s first wife. Will they really be used by God prevent Armageddon … or to initiate it? 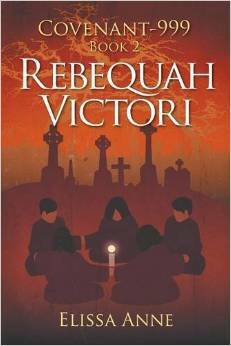 Rebequah Robertson has been friends with the mysterious Kelly Stewart for years. Only now, at age 15, does Beq begin to question what happened to Kelly nine years ago. Was Kelly really kidnapped? How were Beq’s parents involved? And why is Kelly’s personality so cold? Beq’s mother, Tori, can sense the spiritual climate shifting as both mother and daughter begin to see visions of the future. Tori knows that the coven of witches she learned about nine years ago have returned for revenge. Tori fears for her daughter’s life when Beq becomes convinced that God wants her to help Kelly before she destroys many lives. Covenant-999 Book 2 is set in 2003, and bridges the gap between the resurgence of Coven-999 in 1994 and its final destiny in 2012. The Robertson women all have a critical role to play, as God reaches out to the coven through this special family. Covenant-999 Book 1 is the beginning of a trilogy involving satanic ritual abuse, emotional disorders, and family relationships. The story begins in 1994 in the Adelaide Hills of South Australia. Loraine Stewart escaped Coven-999 with her newborn niece, Kia. Loraine has tried desperately to protect the girl from the witches who intend to sacrifice her to the gods, but she has failed. Nine-year-old Kia Stewart has just been kidnapped. As Loraine’s search for Kia begins, Victori Robertson is also searching for something. 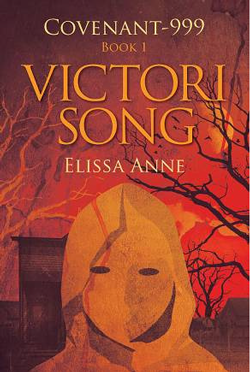 After reading about the missing girl, Victori discovers links between her own past and that of Kia Stewart. 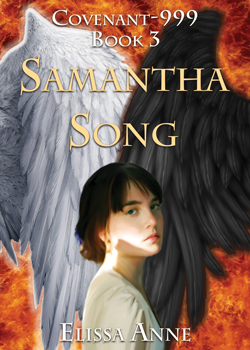 She realizes that her destiny is tied to Kia’s fate, but can the girl be rescued in time?